Austrian art-house titan Michael Haneke won just about every award there was to be had for his latest film, Amour, including the Oscar and the Palme d’Or. 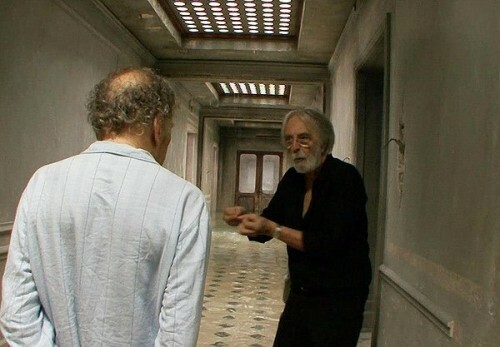 Yet, Haneke’s vision is so uncompromising his work is often more appreciated in retrospect than enjoyed in the moment. This makes Haneke a logical candidate for a documentary survey treatment, despite the auteur’s reluctance to answer questions that might establish definitive interpretations of his films. Yves Montmayeur rises to the challenge with Michael H, Profession: Director (trailer here), which screens as part of the World Documentary Competition at this year’s Tribeca Film Festival. Fittingly, Montmayeur begins with Haneke’s “greatest hit,” observing the director at work on Amour. However, he demonstrates a bit of visual flair, showing Haneke blocking out Jean-Lois Trintignant’s nightmare sequence as if it were really him in the scene. Trintignant and his Academy Award nominated co-star Emmanuelle Riva both praise the specificity and clarity of Haneke’s direction, but suggest he is quite the demanding helmer. Essentially working in reverse chronological order, Montmayeur then takes stock of White Ribbon, strongly emphasizing Haneke’s return to his German mother tongue. It seems an important point, particularly in light of the film’s themes. It also makes one think of Haneke in literary terms, following in the tradition of non-native language writers like Conrad and Nabokov. Indeed, Haneke might be the right filmmaker to finally crack the Conradian adaptation nut. 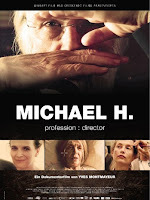 Some of interviews and generous samplings of film clips will motivate viewers to catch up with some of Haneke’s past work. On the other hand, Montmayeur basically gives away the ending of Funny Games, but if you are going to spoil a Haneke film that is probably the one to do it for. In addition to Amour’s co-leads, Haneke regulars Juliette Binoche and Isabelle Huppert add insights in working with the distinguished director. He certainly attracts some of the best in the business, not that Haneke likes to think of filmmaking in such commercial terms. Haneke can be very eloquent discussing his work. His remarks at last year’s NYFF press conference were uncharacteristically helpful for those us looking to get a handle on Amour. Even though Haneke will brusquely dismiss questions he does not wish to answer, Montmayeur gets him talking on general subjects in ways that illuminate his entire oeuvre. That is really quite the trick. Throughout Profession one gets a clear sense of Haneke’s pessimistic conception of human nature as well as his artistic integrity. While he is a fascinating filmmaker to spend time with, it is hard to say how rewarding the documentary will be to viewers completely unfamiliar with his work. 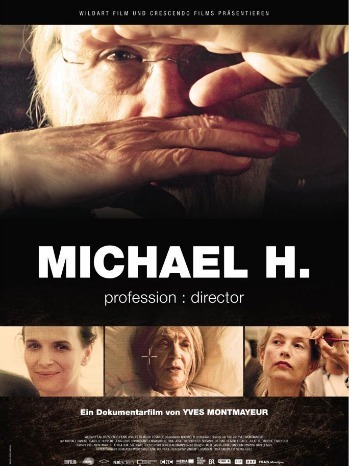 Respectfully recommended for Haneke’s admirers and critics alike, Michael H, Profession: Director screens again tonight (4/21), Thursday (4/25), and Saturday (4/27) during the 2013 Tribeca Film Festival.